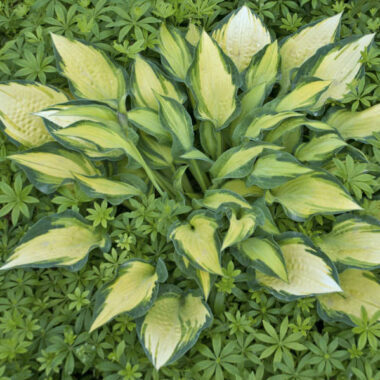 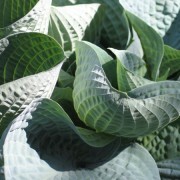 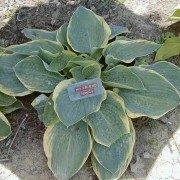 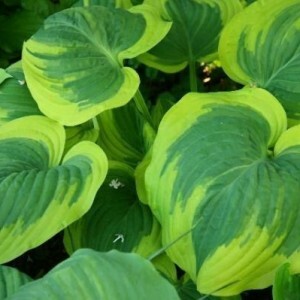 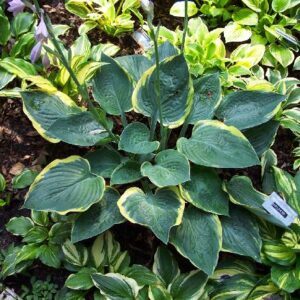 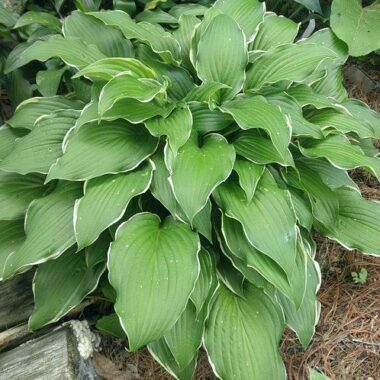 Big Hearted Hosta – Very large hosta with a beautiful ruffled margin, green leaf above and a gray green below. 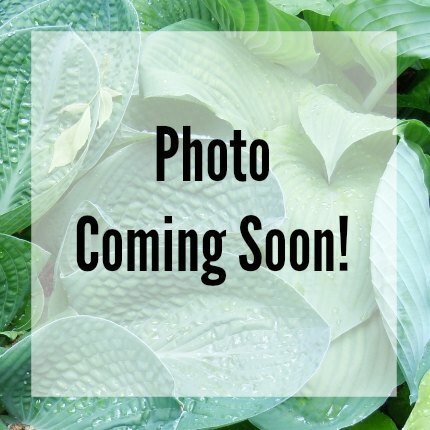 Purple bell shaped flowers in July. 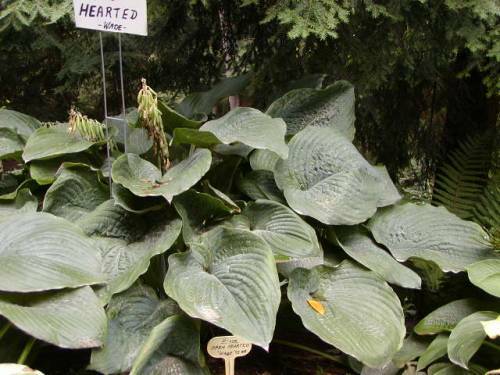 Very Large: This giant hosta has leaves that are 16 -18 inches long with a long slightly wavy edge.